Want to set iTunes song as ringtone on iPhone but don’t know how? Read on this guide to see how to make an iTunes song a ringtone on iPhone X/8/7/6/5/4 in just 1 click. Download AnyTrans on your computer prior, and then follow this guide to make iTunes song ringtone with great ease. It can also help you transfer iOS data from iPhone/iPad to iDevices/computer/iTunes, and vice versa. When it comes to make an iTunes song a ringtone, the first way comes to our mind is using iTunes. But it may take you many minutes to finish the task and the process is quite complicated. Also, since Apple pays much more attention on music, movies, TV shows, podcasts and audiobooks, Ringtones and Apps have been moved from the latest iTunes version – iTunes 12.7. There’s no Tones tab in the left panel anymore. That’s to say, if you have updated to iTunes 12.7, then you will have no access to transfer ringtone to iPhone via iTunes. Fret not. There’s a better & simpler way to complete the job. And here in the following, we will share you how to make an iTunes song a ringtone in just 1 click. Let’s check it now. 1. For Mac users, if you have updated to iTunes 12.7, then you can still create AAC version as before, but have no option to transfer them to iPhone. For those Windows users who have updated to iTunes 12.7, you are not allowed even to create AAC version. 2. 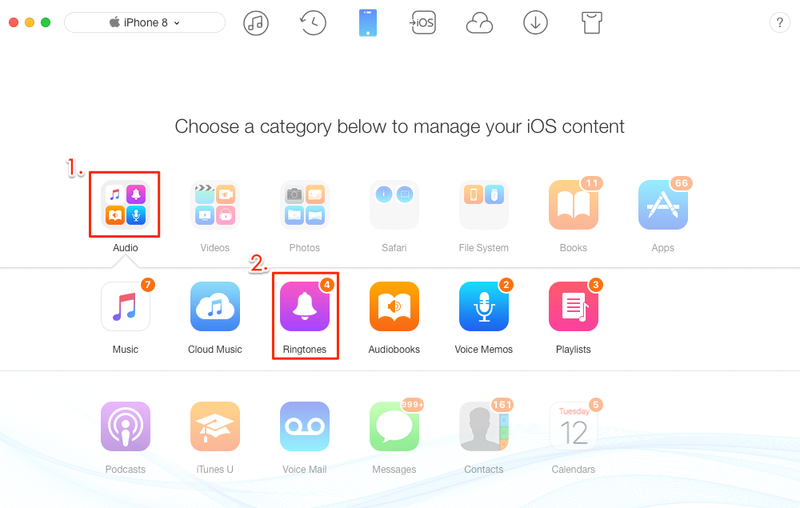 Many users reported that when they are trying to use iTunes in old version to transfer ringtones, it couldn’t recognize their iPhone/iPad in iOS 11. If you are also encountering the same situation, then turn to AnyTrans to help you make it directly. AnyTrans is highly recommended by millions of iOS users to make ringtones, transfer data and manage data on their iPhone/iPad/iPod touch. And below are its wonderful features. 1. Simpler and better than iTunes – You just need to select and transfer the songs you like to iPhone, and then they will be converted to ringtones on your iPhone automatically. 2. Whatever audio files you like, AnyTrans helps you make it into ringtone – Any songs, voice memos, and other audio files, even in unsupported music formats like mp3, m4a, wav, wma, etc. as long as you like, it can help you covert them to ringtones on your iDevice. 3. Supports all iTunes version and iPhone models – It supports iPhone X/8/7//6S/6/5S/5/4S/4, and iTunes version: iTunes 1.0.4 -12.7. 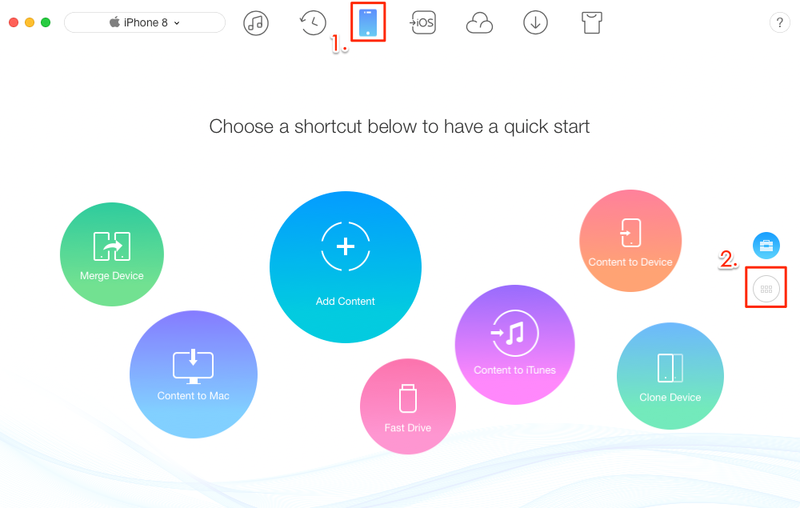 4. iOS data transfer and manager – It can also help you transfer ringtones, photos, contacts, messages, notes, videos and up to 24 types of files from iTunes/iDevices/Mac/PC to iPhone/iPad,and vice versa. Step 1. Download AnyTrans and install it on your computer > Open it > Connect your iPhone to the computer > Click on Device tab > Go to category page as screenshot shows to you. Step 2. Click on Audio > Select Ringtones. Step 3. 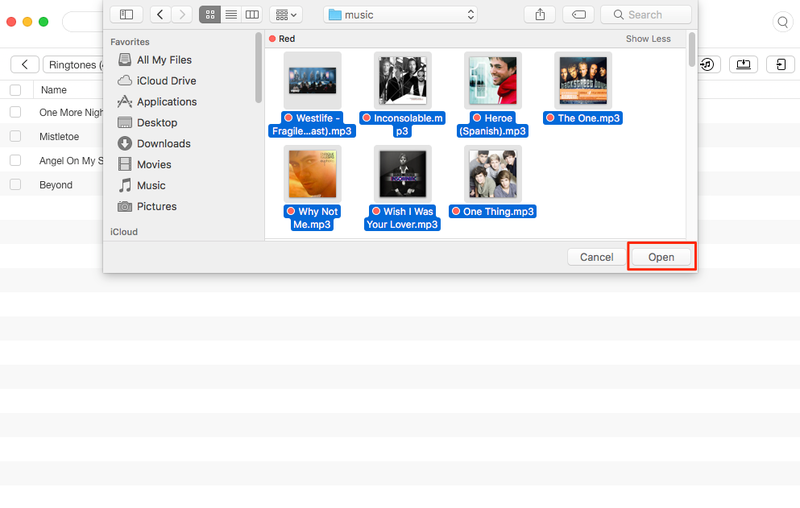 Click "+" button > Choose Music folder and find iTunes media folder (if you are Mac user: Music > iTunes > iTunes Media > Music, and Windows user: My Music > iTunes > iTunes Media > Music) > Select the songs you like > Click Open button to begin the process. After it completes, you can go to Settings on your iPhone and set the one you prefer as ringtone right away. As you can see above, AnyTrans makes it quite easy to make an iTunes song a ringtone on your iPhone. So, don’t hesitate to give AnyTrans a try, and then use it to convert iTunes songs or other audio files you like to ringtones.